A brush fire in a rural neighborhood in the far northern reaches of inland San Diego County blackened about an acre and a half Wednesday and destroyed three greenhouses before crews could quell the flames. 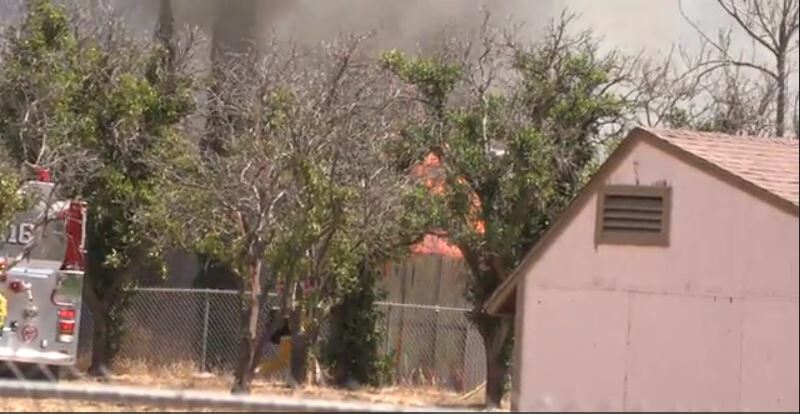 The blaze erupted for unknown reasons about noon in the area of Fifth Street and Camino Rainbow in the unincorporated Rainbow community, according to Cal Fire. Sheriff’s deputies closed traffic lanes in the immediate area as firefighters worked to extinguish the flames, which took about 45 minutes. The cause of the fire was under investigation.